Vietnam could suffer a long-term drought in the upcoming winter and spring, the National Hydro Meteorological Forecast Center said October 29. Northern and central regions may face two to three extremely cold spells in January and February 2010, later than in previous years. The cause for the cold spells will be due to the El-Nino effect, the center said. Rainfall in the country will be significantly reduced putting many areas at risk of water shortage and long-term drought. The northeastern, northwestern and northern midland regions may experience serious droughts over wide areas. In the southern region, the rainy season is forecast to end soon. Water levels at the head of the Mekong River were 10-20cm higher at the beginning of the wet season than in previous years. However, the level looks to drop significantly at the end of the season, which could lead to an inundation of seawater into the mainland. 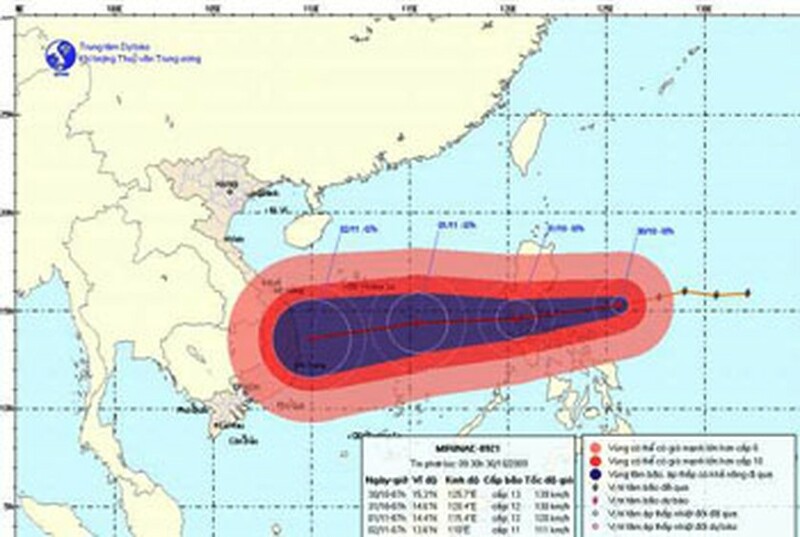 The same day, the national weather bureau said that Storm Mirinae, formed off the Philippines, was heading for the East Sea and would affect Vietnamese waters in the next one or two days. Early October 30, the storm was centered 460 kilometers east of Luzon Island with the strongest winds near the storm’s eye at around a level 13, or 134-149 kilometers an hour and gusts at level 14-15. In the next 24 hours, it is forecast to move west at a speed of 25 km an hour and will approach the southwest coast of Luzon early October 31. As a result of the storm, northern and central areas of the East Sea will see level 7-8 winds the night of October 30 which could strengthen to level 9-10. The National Steering Committee for Flood and Storm Prevention and Control has asked local authorities to prepare for the storm, ban boats from going out, and guide fishermen still at sea to shelter. According to the Southern Regional Hydro-Meteorology Center, tide levels in HCM City will top 1.45 meters at the beginning of November to reach a peak since the beginning of the rainy season in May. The highest water level on November 2 will be 1.47m at Phu An Station in the Saigon River and 1.44m at Nha Be Station. At Phu An Station, the tide will occur at 6am and 4:30pm, and at Nha Be Station it will occur at 5:30 am and 4pm. 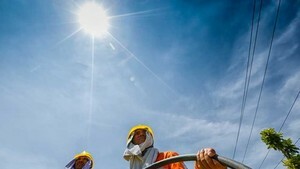 In recent days, a powerful operation of low- hot pressure triggering a scorching heatwave has hit nationwide provinces and cities, reported the National Hydrology Meteorology Forecast Center yesterday.